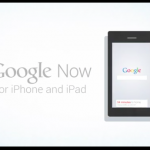 Yes, I can confirm for you: We have not submitted Google Now to Apple's App Store. Apple has a policy of approving or disapproving apps that are submitted into its store, and some of them they approve and some of them they don’t. Schmidt’s comment followed the release earlier this month of what appeared to be an introductory video for Google Now for iOS. The video had apparently been posted to Google’s YouTube site prematurely and was quickly pulled. I have absolutely no doubt that Google will submit Google Now to Apple. More importantly, Apple will almost certainly approve it for the App Store. What happened is probably pretty straight-forward. One, a Google employee published a Google Now for iOS ad when they shouldn't have, and two, Schmidt just couldn't help himself. And three: the blogosphere picked up on both stories, of course, including this writer. Siri-Like Software Assistant Google Now Coming Soon To iOS?